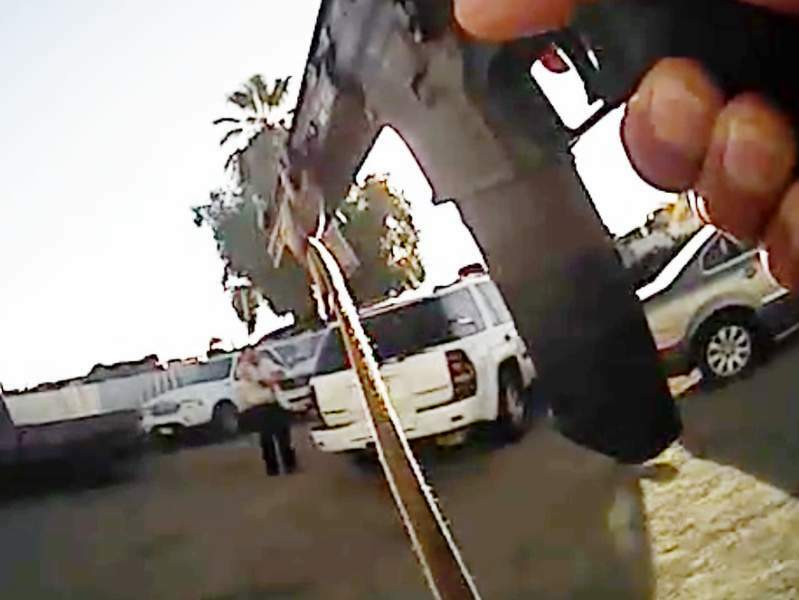 Associated Press This photo from video from a deputy's body camera shows a standoff between officers and Javier Casarez, 54, in Bakersfield, Calif., on Wednesday. LOS ANGELES – A gunman in Southern California fatally shot his ex-wife and a man at a trucking company before chasing after another man, killing him, and then driving to a home where he shot dead a father and daughter during a nearly 40-minute rampage, authorities said Thursday. Kern County Sheriff Donny Youngblood identified the killer as Javier Casarez during a news conference about the shootings that claimed five victims in Bakersfield, about 90 miles north of Los Angeles. His ex-wife Petra Maribel Bolanos de Casarezge recently filed for a change involving child support and custody over the couple's two teenage children, and the pair had a hearing set for Oct. 11, court records show. Casarez likely took his ex-wife to the trucking company against her will and then fatally shot 50-year-old Manuel Contreras with a .50-caliber handgun, authorities said. He shot his ex-wife and then turned the gun on a second man, 50-year-old Antonio Valadez, the sheriff's department said.